If you’ve never heard of online installment loans, you’re not alone. However, it is a type of loan that most lenders have switched to from payday loans. This is due to the regulations that were implemented on how lenders operate. National Payday is one such lender that offers both installment and payday loans. But which one is considered the best option for you? Let’s compare the two and see how they stack up against each other. An online installment loan is something that is not due in one lump sum. You will be able to pay off the loan in installments (hence the name). Unlike payday loans, the balance of an online installment loan never rolls over. Your loan will reduce over time and calculate how much you will owe in installments. Remember, you will agree to an installment that will be paid at the end of the term. An online payday loan is a short-term loan that typically lasts two weeks. These loans are valued up to $1000 or less, depending on what the customer has borrowed. The loan is paid back at a higher fee. If the borrower does not pay the amount due at the end of the term, then the balance will balloon due to the interest accrued and make it difficult to pay off. However, some lenders have done away with payday loans and have instead offered online installment loans. This is the tricky part. To make the final decision on which loan is right for you, one thing to factor in is your ability to pay. The reason why National Payday has a requirement for proof of income is that we want to make sure whether or not you have the ability to pay your loan when the term ends. Otherwise, it would be pointless to loan money if they have no way to pay it back. Since we offer both, we try our best not to make one or the other look bad. 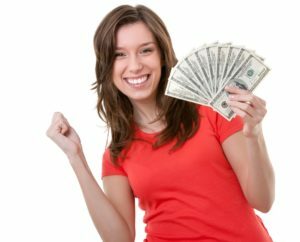 if you are certain that you can pay off a payday loan around the time when it’s due, you can choose to apply for a payday loan. If you are unsure about possibly meeting a due date, then you should consider an installment loan. This would be an easier option for you since you can pay off the loan in installments. And yes, your balance won’t increase if you miss a payment. Either way, National Payday will do our best to make your loan repayment easier for you and less of a mess to clean up. Once you decide on which option is best for you and you need the quick emergency money fast, then go to National Payday now and apply online. All you need is your name, address, phone number, and additional information to ensure that you qualify. You must be 18 years of age or older and a US citizen. You’ll need an open and active checking account since the money will be sent by way of direct deposit. Finally, you’ll need proof of income to ensure that you can pay the loan on time when it’s due. Don’t let the options intimidate you or hold you back. You have enough to worry about. Choose the loan that’s best for you and apply now.